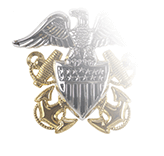 The Navy’s Meritorious Unit Commendation (MUC) was established with SECNAV Notice 1650 of July 17, 1967 to honor units of either the Navy or Marine Corps that, by valorous or meritorious achievements, distinguish themselves from other units carrying out similar services. 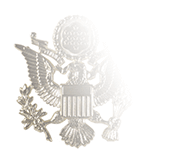 While the Navy and Marine Corps Awards Manual states that the unit’s actions must be of a nature similar to those that would qualify an individual for Bronze Star, there are several important differences. 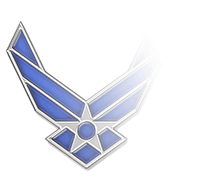 First and most obvious is that the Bronze Star is an individual award; second, the MUC can be awarded for actions in non-combat situations, whereas the Bronze Star not only specifies that the achievements must take place during military operations against an opposing armed force, but also that the Servicemembers must be receiving imminent danger pay. Civilians employed by the Department of the Navy who are assigned to a unit that has been recommended for the MUC, the Presidential Unit Citation, of Navy Unit Commendation may be nominated for inclusion in the awarding of the MUC. But simply being assigned to a unit that has been awarded the MUC does not automatically grant these employees participation in the award. Instead, the officer who is recommending the MUC must certify that the civilian employees took part in the actions being recognized and played a key role in the process. 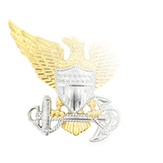 In recognition of the increasing number of joint forces that combine not only multiple branches of the U.S. Armed Forces but also the armed forces of friendly foreign nations, the regulations allow these units to be honored with the MUC, but only if their actions and service are in accord with the same standards that are in place for Navy and Marine Corps units. 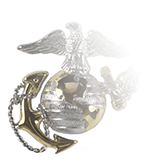 Simply taking part in a large number of operations with Navy and Marine Corps units does not in and of itself qualify a unit from a friendly foreign nation’s armed forces from being honored with the award, even if the units that it is working with are recipients.